Students should not let their curiosity get the best of them. 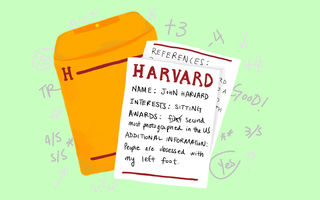 Given the mania surrounding admissions to highly selective institutions such as Harvard College, many students are curious about the exact qualities that gained them admission. And in a sharp increase over the previous year and a half, more than 100 students each month have indulged their curiosity and exercised their rights under the Family Educational Rights and Privacy Act to schedule an appointment to review their admissions profiles—an unprecedented spike that has driven the Registrar’s office to dedicate a single person to handling these requests. The recent uptick in interest raises intriguing questions about students’ exact relationship with the College’s admissions rate. With the College’s admission rate ticking toward the low single digits, many Harvard students may have questioned their admission at one time or another. Parsing through an application might seem like the ideal remedy to these anxieties about admission. And it is impossible to foresee all the possible reasons a student would want to peruse an admissions file. Nevertheless, the recent spike seems to be the result largely of students’ need for reaffirmation and of the call of the unknown. If these superficial motives are truly driving the increase in requests, we believe students should subject their impulse to view their files to greater scrutiny. For one, despite the natural inquisitiveness about admissions that we all share, wading through admissions files is no idle pastime, and the potential downsides of viewing these files could oftentimes exceed the benefits. In the best case scenario, a student reading his or her admission file would learn what they already knew: an admission officer liked their essays, their test scores and grades were high enough, and their extracurricular activities were compelling—if any of that information could even be divined from the series of numbers and short comments included by admission officers. By contrast, viewing admission files could also tell students that an essay they were especially proud of was not as good as they reckoned, or that their extracurricular activities were lacking. These revelations would only exacerbate any lingering anxieties, despite the underlying irony that any of these trivialities were irrelevant, since the applicant gained admission to the College. 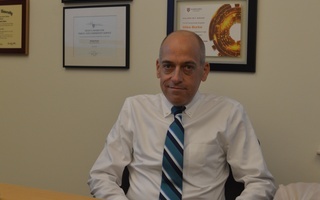 Furthermore, the very act of requesting an admissions file perpetuates the fetishization of admissions to elite colleges; if students are happy because they have the privilege of attending Harvard, rather than merely because they were admitted to a highly selective institution, then the specifics of their admission should be of no substance to them. Of course, we do not object in principle to the law mandating that students have access to such files, but this abstract support does not mean that students necessarily should read admissions files. FERPA allows students significant privacy and independence as it relates to their educational records, and in some instances students may very well have good reasons for reading their admission files. It is imperative that federal law preserves this right; we simply believe that it should be exercised with caution. But the mindless exercise of students' rights under FERPA will only create a more unhealthy culture surrounding admissions, even among students who have already matriculated. College admission is a stressful process in our culture, but it is ultimately only a means to an end. Continuing to obsessive over its intricacies without compelling reason serves little constructive purpose, and we recommend against it. A previous version of this editorial stated that more than 100 students had viewed their admission files. In fact, the number is more than 100 students each month. The authorities at the Union boat house, Thursday, refused students admission to the float at the end of the race. University of Michigan will hold examinations for admission in Chicago, Cincinnati and St. Louis. Harvard Material? Yes, You Are.